Windansea has been such a blessing in my life. More than any other place, Windansea has taught me so much about change and riding the tides of life. This beautiful beach in La Jolla is always, constantly changing and there is never a day that is exactly the same. The beach comes and goes revealing caves and crevices and the sun turns the rocks bright green with slippery algae. The very next morning the rocks may be buried again under squeaky clean white sand. Sometimes the ocean is flat, calm, glassy and smooth like ice. Other days its turbulent, unfriendly, crashing and churning. The people come and go just like the waves- families teach their kids how to ride bikes along the sidewalk overlooking the beach, dog owners awkwardly pick up dog poop hoping no one is looking, older couples who have stood the test of time walk hand in hand, surfers stretch and get ready to jump in on their boards, lovers sit on benches and share first kisses, sun worshippers lay on bright colored towels, young girls walk the beach looking for cute surfer boys to catch their eye, the Windansea surf club sits on the cliff looking out over their playground of waves. The seasons change too. Summer brings June gloom and droves of people with Arizona license plates. Fall gets a little quieter and the locals bask in the best weather of all the seasons as the tourists go back to their usual lives. Winter brings big waves which equals happy surfers. Sometimes it rains and the weather rolls in from the sea. Spring is gorgeous in Windansea with purple and white flowers dotting the cliffs along the beach. Photographers and newly engaged, married and pregnant couples excited about the future don their best khakis and white shirts to take silly-in-love photos. Spring showers bring smiles and May flowers. 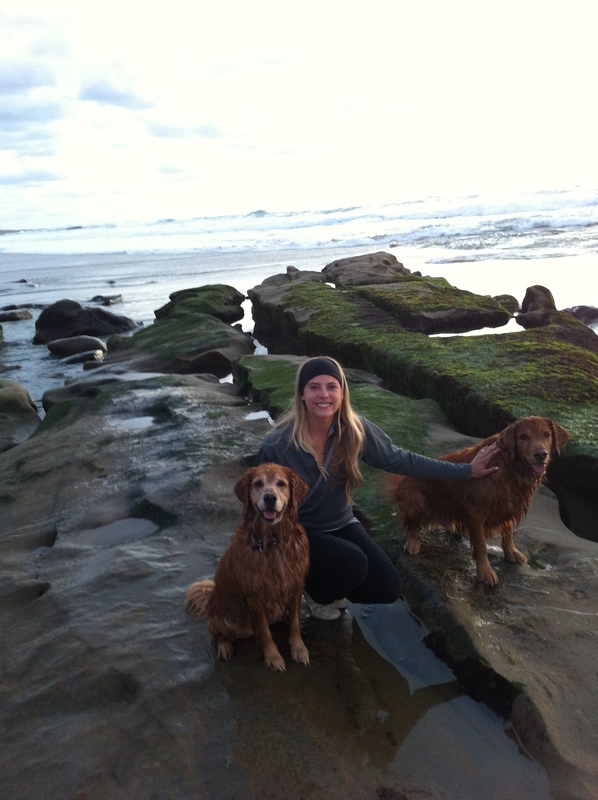 People come out of their houses to walk the beautiful beach with their dogs and enjoy La Jolla’s gorgeous gardens. The sunsets at Windansea are all so different and special. Friends and families walk down to the beach with wine in hand to reflect on the day and let their worries melt with the sinking sun. The seagulls and Albatross fly overhead on their way South or North, with their big wings silently pumping against the sea breeze. I’m going to miss this place. Windansea has been so good to me and has taught me so much about life, love and soaking in the beauty of the moment that you find yourself in. I’ve lived here for nearly 7 years. For three years my two best friends and I had the time of our lives living in our tiny place on Nautilus. We soaked in the sunsets, danced at the Shack, ate burritos like they were nothing, and spent summers on the sand. When Megan and Steph moved away I tried to live away from Windansea for a year and ended up moving right back. I moved into the Shore Colony apartments right on Neptune with the Love of my life and my little brother Anders. We got first row tickets for the Windansea show and have been glued to our windows with their breathtaking views for the last four years. I remember being nervous to move in with a boy for the first time. Falling asleep that first night with our mattress on the floor and the windows open to the sound of the waves, I knew that Matt and I were going to be sleeping side by side forever. I went to sleep that night with the biggest smile on my face and slept better than I ever had before. Matt and I grew up together in Windansea. We got our puppies when we lived in Windansea and now Daisy and Taj are six and seven years old. Just like the swells, we’ve had our good days and bad days, but our love is as big as the ocean itself. While everything else is always changing, I can always depend on one constant and that’s our commitment to each other to love, respect and communicate our deepest thoughts and biggest dreams. 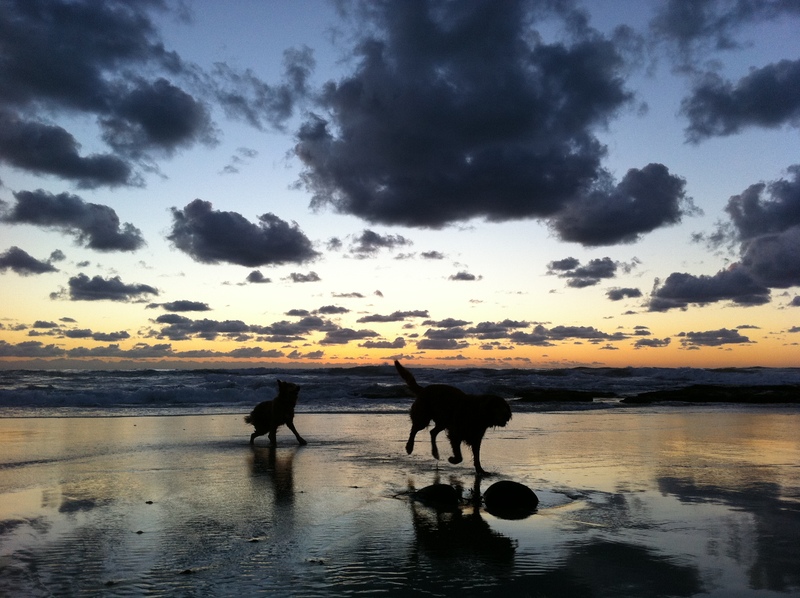 November 29, 2012 on Matt’s birthday, we took the dogs down to the beach to play in the water at sunset. It was one of the most beautiful sunsets that we had seen in a long time. Even though it was a little bit foggy and misty, the sun shone right through the clouds with light streaming onto the water. The sky was a soft blue gray with pink and orange swirls. The beach had receded into the water revealing the deep rock caves and holes that were made even more pronounced by the extremely low tide. We walked along the beach and Matt hurried me away from all of our friends and neighbors, which I thought was odd. I was completely clueless about what was happening. Matt stopped me, picked me up and gave me a good long kiss. He put me down and told me that even though he loved all of his birthday presents that day, there was still something that he wanted more and that was to spend the rest of our lives together. Then he dropped down to both knees and asked me to marry him. I was so happy and so shocked that all I could do was kiss him and say, “Really? Really? Forever and ever and ever and always?!”. We walked back on the beach with our toes in the sand, with the dogs running happily around us and let the enormity of the moment sink in. Matt asked me to be his forever on our favorite beach, in our favorite place. Right at Windansea. I was and will always be the happiest girl in the world. The Windansea chapter is coming to a close and I’ve been holding my breath with nervousness, apprehension, and little bits of fear. I love this place. I love that I live with my brother and my mom lives right down the street. I love how the community has been so wonderful and has supported my business over the years. 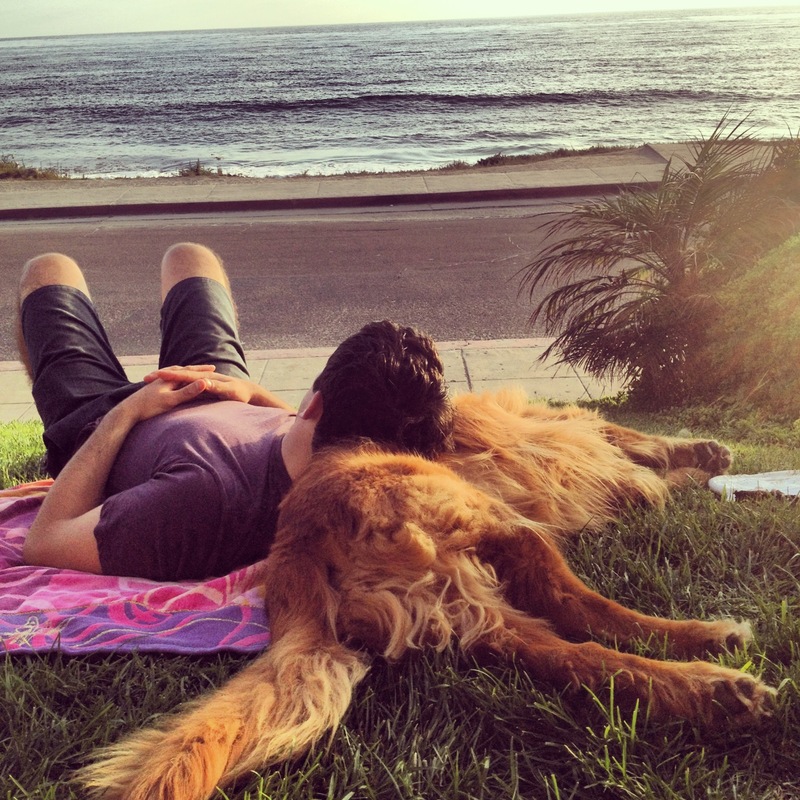 I love being La Jolla’s dog girl and I love our amazing neighbors and friends who feel like family. I also love how Windansea has taught me that things change and that there is so much beauty and power that results from change. Nothing is ever constant, except for death, taxes and dog poop. And I’m not really a huge fan of any of those things. Actually even dog poop is different every time, so let’s leave that out. I used to resist change and react very emotionally to anything that rocked the boat. Living in WIndansea has taught me to go with the flow, soak in the moments and love all that life has to offer- even if it gets a little tricky sometimes. There’s times when you feel like you’re getting pounded by waves and you’re paddling as hard as you can and just can’t seem to catch your breath. Then there’s times when you have to let go, relax and just bob to the surface and wait patiently for the next wave. Surfing has really influenced Matt’s strong and steady personality. He always takes advantage of the moment to get out there when the getting is good. Sometimes you have to be patient and wait forever just to get one wave of the day, but the waiting, the paddling and the cold water is always worth it. Sometimes you get skunked and there’s no waves, but just being in the water cleanses away stress and worries. Looking out over the water at the horizon and seeing nothing but sea and sky refreshes the soul. The waves are always different and never perfectly the same. Life is full of variables and nuances that make living interesting and change inevitable. We are preparing for a very big change and I constantly have to remind myself to breathe and let whatever happens, happen. We are leaving behind the ocean view apartment for (hopefully) our very first home in the country. Well, it’s kind of country and very much hippy. We’re in escrow on a house in Topanga Canyon up by Malibu. We’ve been dreaming of baby chickens, horses and sunset trail rides to the ridge overlooking the ocean. We’re calling our house the Ugly Dream House because it’s extremely “rustic”. Walking into it feels like your being time warped back to the 70s. It hasn’t been touched since the era of free love and it could definitely use a lot of lovin’. Visions of light gray wood floors, linen couches, leather chairs and modern fixtures dance in my head. I’ve become addicted to Pinterest (even more than I was before!) and I’m a Houzz junky. When I think of our house, I think of a modern farmhouse filled with light, love and good people. I think of our future little munchkins running around the barn and climbing the oak trees. I think of our dogs laying on the front porch, watching over their big yard. The possibilities seem truly endless and I’m so in love with the thought of our life together as a family starting there. But, I have to hold my horses. I have to go with the flow and realize that these visions and dreams may have to go on hold if the timing isn’t right. We can’t be in control of everything and so many things are out of our grasp. It may happen and it may not. Matt tells me to enjoy the ride. He looks at it like a game and he loves the excitement of not knowing. I have to dig deep to let it all go and let it be how it’s going to be. I’ve never been such a ball of nerves and excitement for such a long stretch of time. I may be disappointed, but I’m not going to let it devastate me if it doesn’t work out and I’m going to trust in the universe that something else truly magical and wonderful is out there dancing in the distance. For now, I’m looking out my windows at beautiful Windansea, feeling the ocean breeze touch me. I’m soaking in these last few moments and reflecting on how truly lucky and grateful I am to have lived here as long as I have. Even though our apartment complex has seen the test of time and is disintegrating before our very eyes, you can’t beat this view and the feeling of community and family. There’s a neon green sign posted on our porch saying that the building is going to be torn down. We feel so lucky to have lived here as long as we have. So lucky to have so many memories made here. Memories of all of our neighbors and friends out on our porch, listening to music, staring at the ocean and watching sunset after sunset. Memories of Matt and I sitting in the hammock with the dogs laying at our feet watching the squirrels across the street and the people run by. Memories of the dogs looking for people who will play fetch with them over and over. I’ll always remember Matt going out late at night to fetch us some lobster from the dark black ocean and myself preparing the pots of boiling water. 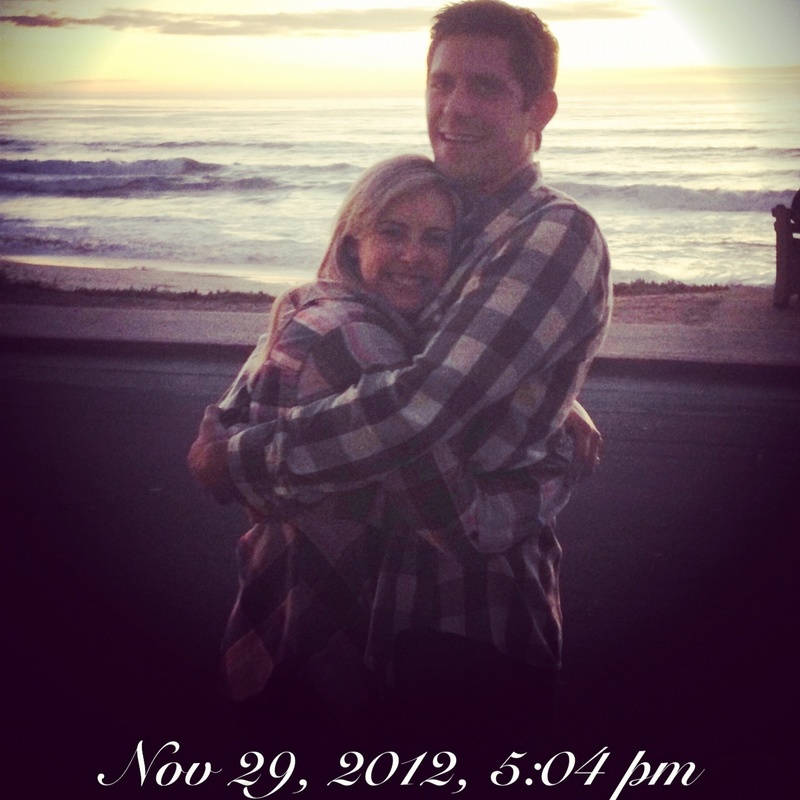 I’ll always remember Justin and Brandi being the best and sweetest neighbors that anyone could ever ask for. I’m also so grateful for Nadiah and all of our dolphin workouts on the beach. I’m also never going to forget all of the crazy stories around here with some of our “interesting” neighbors like the noodle thief and the crazy dog napper lady. Windansea is a place like no other and I’m really going to miss it and all of the people that live here. I’m going to miss my little brother and my mom most of all. But they’re going to be ok and I’m going to be commuting down here for work all the time. Change is good and thanks to Windansea, I’ve learned to love it and accept it. We’re looking forward to reconnecting with old friends in LA and looking forward to everything else that life has to offer. Because so far, life has been pretty damn good! Thank you Windansea for all that you’ve shared with me and for filling our lives with lots of sunshine and love. 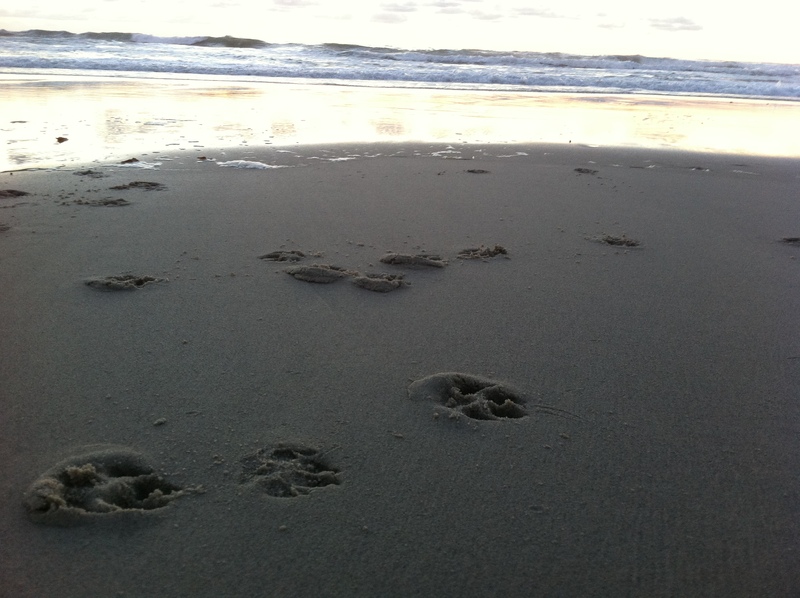 This entry was posted in Uncategorized and tagged beach dogs, beach life, family love, life and love, sandy pawprints, saying goodbye, windansea beach on June 21, 2013 by doggonetechgirl. Brittany that was so beautifully written!! I swear I have goosebumps everywhere. Sharing some of Matt’s childhood years with his mom and knowing you for the short time that I have I couldn’t wish for anyone but you for Mathew! You are truly beautiful together! May you both have a lifetime of happiness and I for one am thrilled that you will be in Malibu, hopefully I get to see more of you guys!! I think I’m going to read that entry of your’s again!